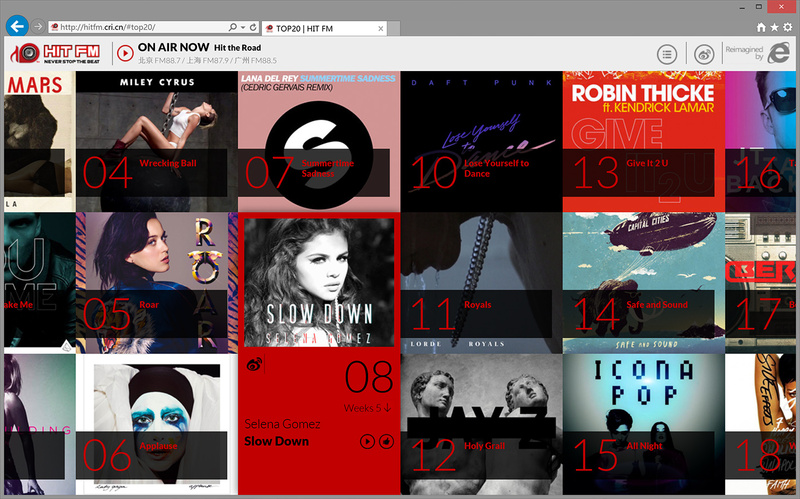 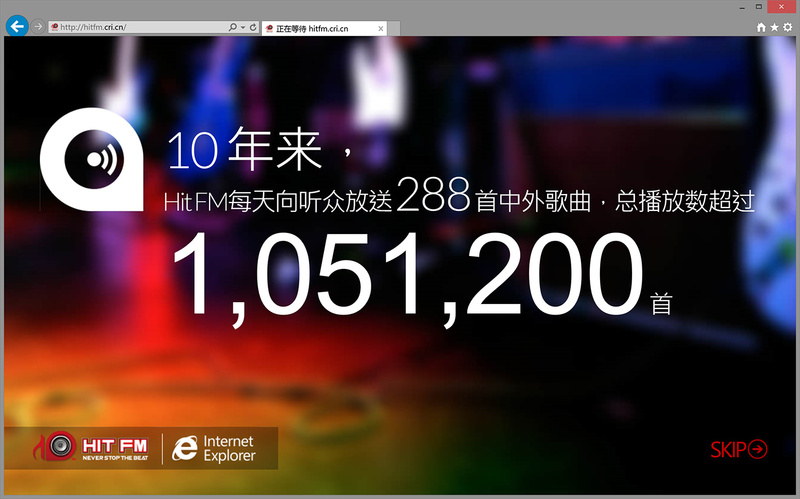 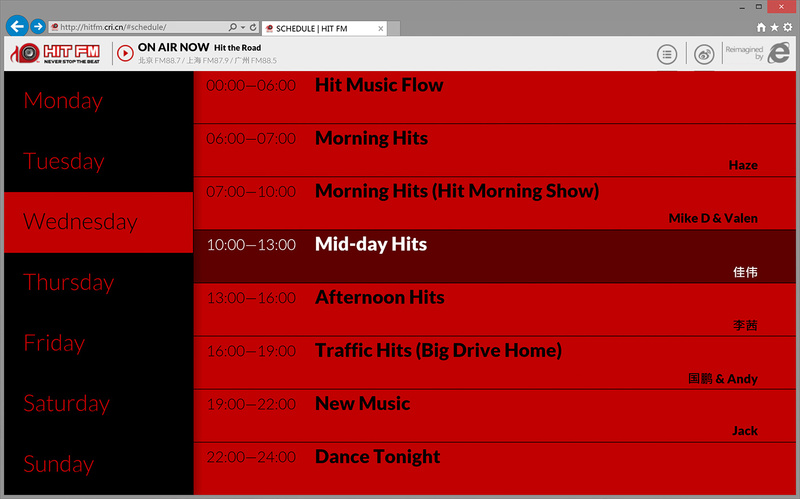 To promote Internet Explorer 10, Microsoft partnered with HitFM, the most popular hit music radio in China, to create an completely new online experience for the radio’s audience. 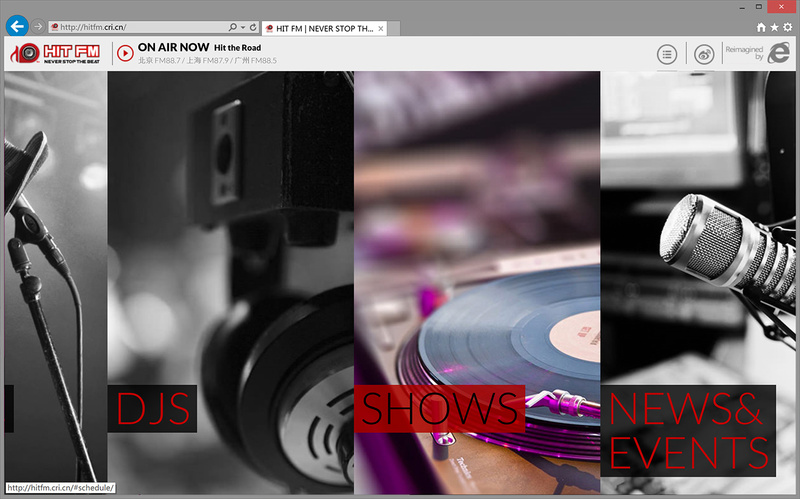 We re-imagined with site from ground up by leveraging HTML5. 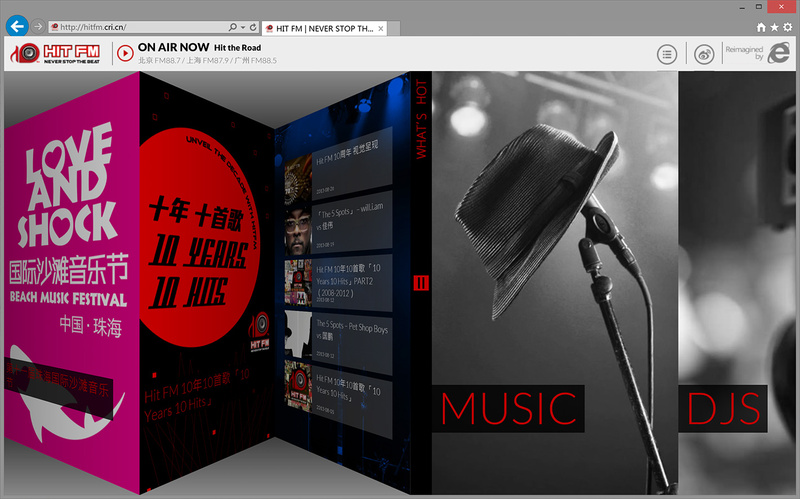 We wanted the audience to really enjoy the radio online wherever they go and whenever they want across multiple devices. 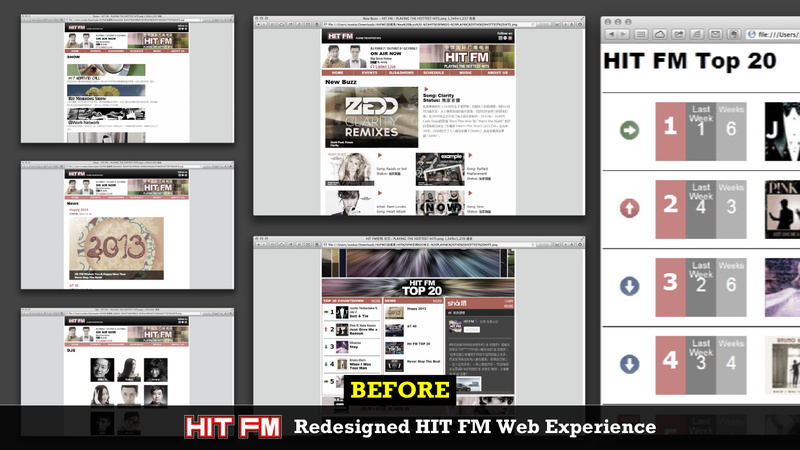 We wanted to bring the modern experience and design to match the hit style of the two brands. 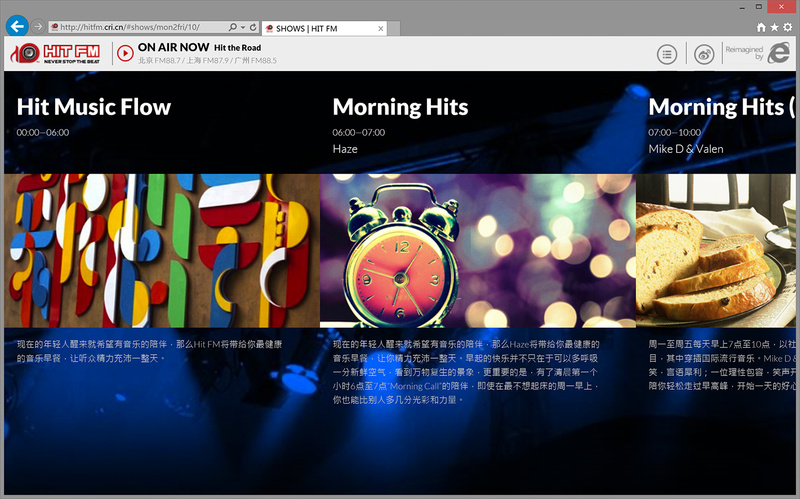 We wanted to showcase what’s possible on a Windows 8 touch devices with IE10.